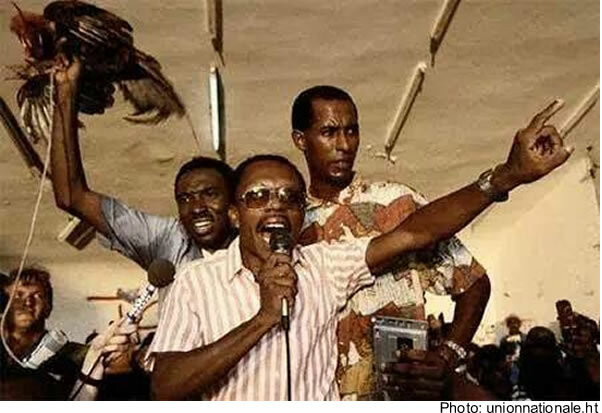 Evans Paul, the present Haitian Prime Minister (born 25 November 1955) rose to the political prominence in the 1990s as an ally of the two time controversial former President Jean-Bertrand Aristide. He is known to his comrades as K-plim (the pen), or Konpè Plim. When on December 25, 2014, Martelly recommended Evans, as a successor to Lamothe following his forced resignation on Dec.13, the nomination of Evans, a former Lavalas, appeared to many as an effort by the President to make consensus with his radical opposition. Evans was the former president of the Democratic United Committee (Komite inite Demokratik, KID); he was elected mayor of Port-au-Prince (with 88% vote) in the 1990 elections that brought Jean-Bertrand Aristide's 'National Front for Change and Democracy Party' to power; and he ran unsuccessfully for the Haitian presidency in the 2006 elections under the Democratic Alliance Party banner.